This project is based on the PIR Motion sensor to detect human movement and alarm generation as a surveillance system for home and office. The circuit sends the alarm sound wirelessly to the interior of home and also switches on the outdoor lights when it detects a human movement. PIR (Passive Infra Red) sensor is a device that detects the body heat of human beings. It has two sensors inside. One sensor senses the ambient Infrared rays in the surrounding environment and keeps it as reference. When a human move across the detection range of the PIR sensor, the Infrared in the body heat upsets the reference of the PIR sensor and its output turns high. 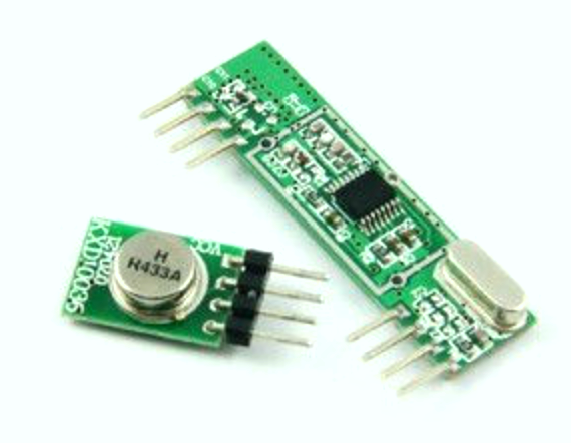 The PIR sensor module used in the circuit has a detection range up to 10 meters. It is also a timer based module and the high output can be set between 30 seconds to 3 minutes. 1. 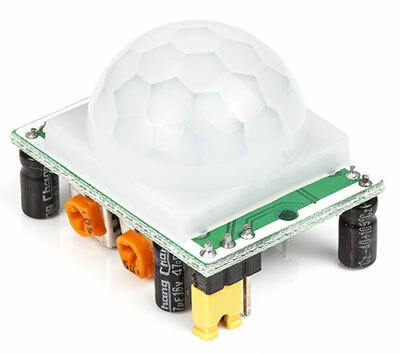 PIR Sensor module – This detects the human movement and gives a high output for the set time. 3. 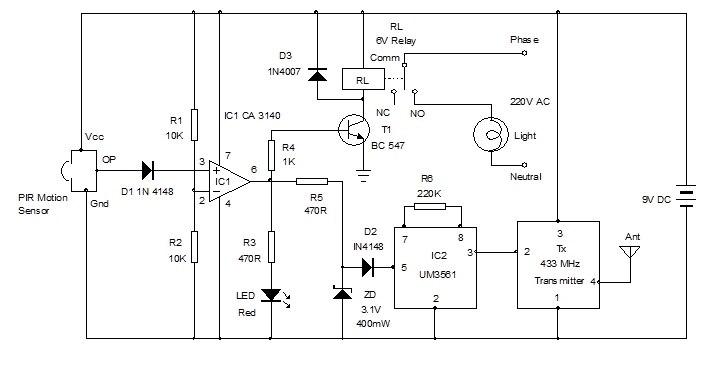 Alarm generator – It is built around IC2 UM 3561 which is a Siren generator IC that can generate tones like Police siren, Ambulance siren, Fire engine sound etc. Here IC2 is designed to generate a Police siren. Output from the Siren generator is fed to the 433 MHz transmitter to send the signals through air. 4. Relay driver circuit – Transistor T1 is used to drive a Relay to switch on light. 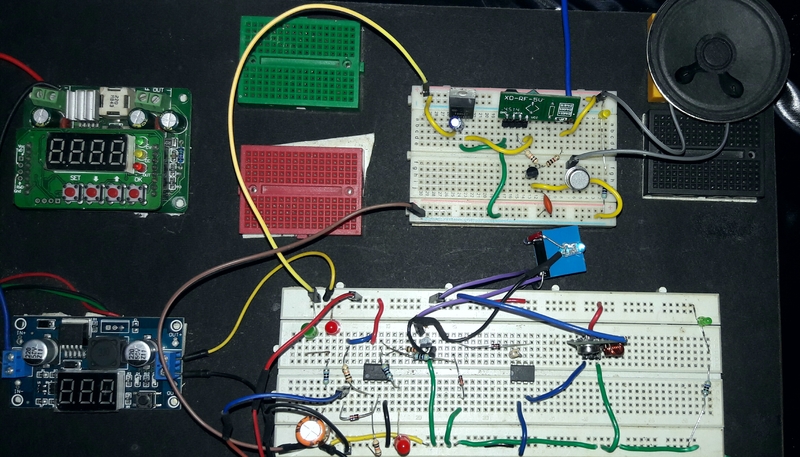 When the output of the Comparator turns high, T1 switches on and the relay triggers. AC load such as light connected to the relay contacts turn on for few minutes depending on the time set in the PIR sensor module. 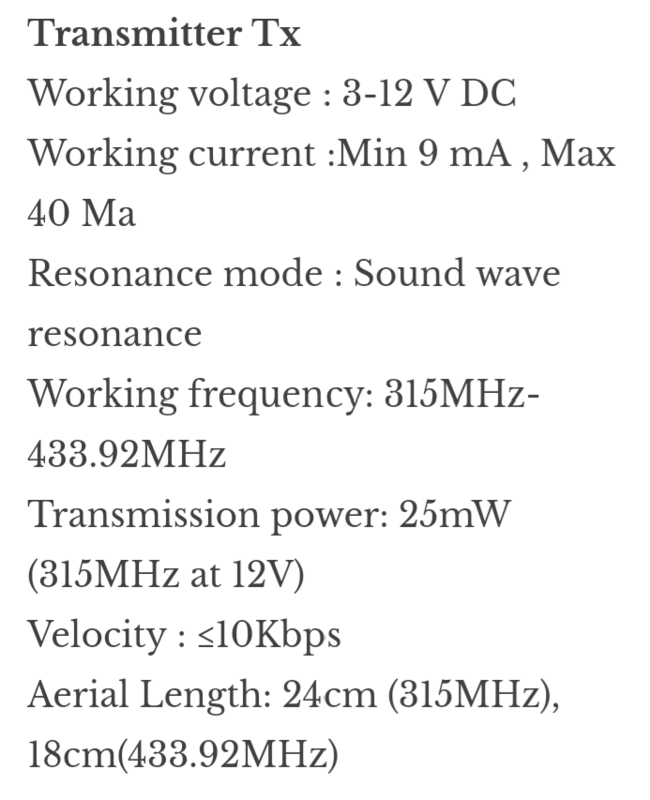 5.RF transmitter- To transmit the alarm tone to the remote receiver, 433 MHz RF module is used. It is tuned to 433 MHz frequency and sends the input signals to the receiver in the same frequency. The Tx works between 5-12 volts, so it is directly powered by the 9 volt battery. The receiver section has three parts. RF receiver (Rx), voltage regulator and transistor amplifier. 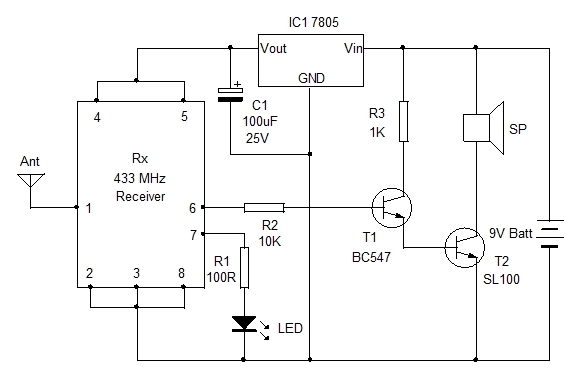 RF receiver- 433 MHz receiver is used to pick up the alarm signals from the RF transmitter (Tx). Both Tx and Rx are tuned in the same frequency (433 MHz) so that, the alarm signals send by the Tx will be received by the Rx. 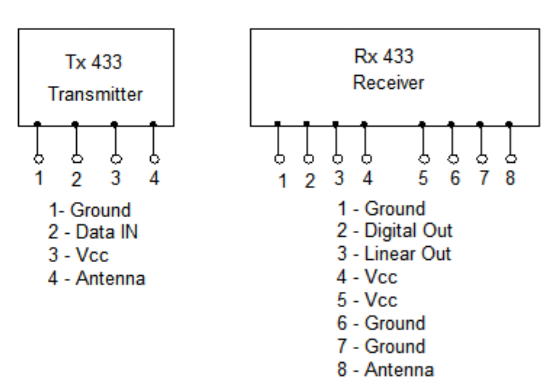 The Rx then decodes the signals and gives corresponding output signals. 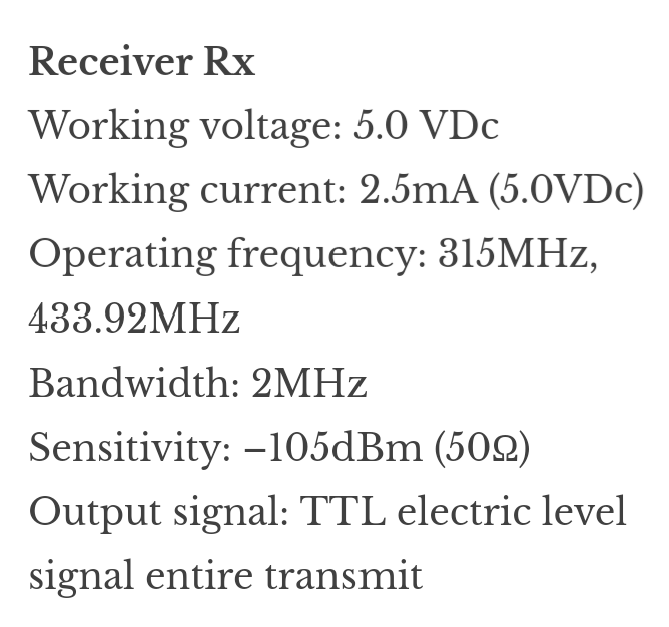 The receiver ( Rx) has two outputs . Digital output (D) and Linear output (L). Here the Linear output is used. The digital output drives the Red LED which indicates the output signals from Rx. Voltage regulator – The 433 MHz receiver works in 5 volt DC, so a 7805 voltage regulator IC is used to give 5 volt DC for Rx. Capacitor C1 (100uF) removes transients from the power supply. Transistor amplifier- Since the output from the Rx is feeble, a transistor amplifier stage using a low power transistor (BC547) and a medium power transistor (CL100) combination is used. It gives reasonable volume for the speaker.